WE ENGAGE WITH AUDIENCES THROUGH CREATIVE COMMUNICATIONS, EITHER AS YOUR EXTERNAL AGENCY PARTNER, OR AS YOUR DEDICATED IN-HOUSE TEAM. The different ways of using video for social media content. We’re now creating more and more social content for our clients, and when it comes to the type, video is undoubtedly leading the way. It’s little surprise really, you’ve only got to listen to some of the noises coming out of Facebook HQ, for confirmation of its popularity. Facebook are doing so because they recognise users growing preference for consuming content in video form. 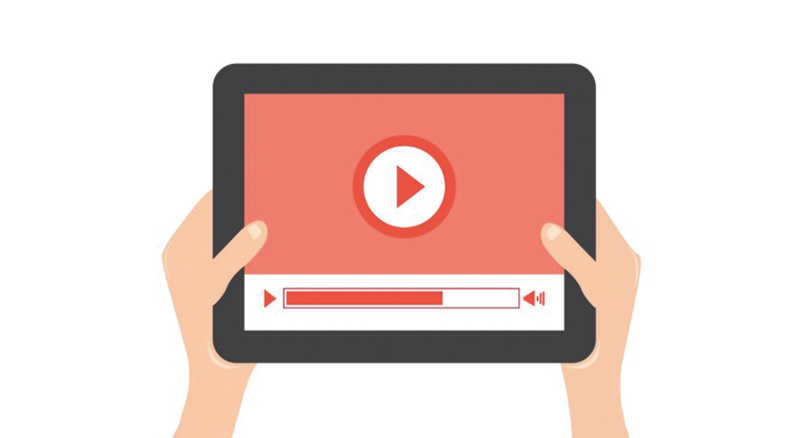 Video generates more shares, which therefore produces greater levels of reach. This has led to brands upping their video game, notably by the amount they publish. When it comes to video, there are now a number of different production techniques available. So we thought it worthwhile to run through and give an overview of some of the different techniques, along with some great examples and some of the things you should consider for each. We weren’t sure on whether to include the first two (traditional and animated) given their ubiquity. But they are video formats, after all. Still the most popular format to use – with a huge range in production quality available, not to mention styles. Traditional videos work best when they tell a story that connects on an emotional human level. No matter the subject, storytelling is crucial. – Try to get across the key message of your video within the first 3 seconds – this is the time frame when viewers are either won or lost. – Make sure the viewer can understand the video both when the sound is off and on. – Make the strongest frame in your video the thumbnail – this is what will capture the interest of the potential viewer. – Videos are now autoplayed and autolooped in most social channels. Therefore, factor this in to the start and end of your video. – There is still a place for quick, rough pieces of video, but videos with high quality production are what social channels are now placing more emphasis on. These are our go to videos when we are trying to tell a story that would be difficult to do when using real world environments and people. A strong storyboard, script, illustrator and animator can turn often dry subjects into truly engaging videos. A tight storyboard really is key. Illustration and animation should only begin once the storyboard has been signed off by all parties. Changes to animations after completion can often be very time consuming and so incurring of unnecessary costs. This appears as a still photograph, with minor subtle elements moving. It is a brilliant way to transform existing video footage into a new highly engaging format. Cinemagraphs are short MP4 files that play on a continuous loop. Therefore, they appear as a seamless animation. Again, most social platforms now autoplay and autoloop videos, which is what also makes a cinemagraph such an engaging form of video. These are a great way to show a series of moments occurring over a phase of time. They are generally shot with a camera fixed in one position, or moving / panning very slowly. Once captured, the content is dramatically sped up – allowing the viewer to very quickly digest a scene that would have played out over a much longer period of time. The best timelapse videos have a fair amount of movement going on within them – so highly animated scenes are what to look for. Best way to explain this type of video is by saying that it is just like a timelapse, but with a much broader range of movement. The camera can be moved across considerable distances, and follow complex motion paths and camera angle changes. Instagram has a standalone app that lets you very easily create your Hyperlapse. The app stabilises the content you capture to give it a very professional finish. Expect to continue to see more of this type of content, as tools make it easier and easier to create. This is another visually arresting effect to apply to photos. It is achieved by isolating the different layers of a photograph, and then moving each layer at different speeds or in different directions. Much in the same vein of a cinemagraph – it is a way to bring still images to life by turning them into a video format, and in doing so making them far more interesting for the viewer. A parallax is created as an MP4, and so will autoplay and autoloop – therefore it is worth considering the beginning and end frame to ensure smooth transitions of the loop. This is a pretty new technique, but we’ve no doubt you’ll soon be seeing more and more of these pop up in your news feeds. These are again in the same space as the cinemagraph and parallax – in that they add movement to a still photograph. It differs to the other two somewhat, as by moving pixels on a timeline, a motion effect is created – transforming the photo into what appears to be a proper moving video. Perhaps our words aren’t doing this technique justice. Hopefully the below example will do though. This one requires a bit of Photoshop skill. However, apps will soon start to surface that help to make the process a much simpler one. Live video is exploding in popularity now, with both Facebook and Instagram seeing growing levels of adoption. And they are prioritising live video, through changes to their algorithm. Given the nature of it, live videos cannot be edited – yet. This is something to bear in mind in regards to the moment you are sharing. Therefore, it is recommended to stay away from particularly important events. Behind the scenes content, and events are ideally suited to Live video. When we say mini-videos, we’re referring to animated GIF’s and also Instagram’s new video format – Boomerang. These really short, quick to digest video formats lend themselves well to social platforms – where user attention is squeezed. Really short videos have always tended to be humorous in nature. But they’re also great for bringing to life illustrations, providing visual instructions, and for displaying things that are visually impressive. Instagram once again are making it easy for users to create engaging short form videos, through the use of their standalone app – Boomerang. Video is only ever going to grow in importance – and so looks set to become the dominant way of consuming content. Hopefully this post has shown you that there are a number of ways of ‘doing video’. And we think new, even more creative ways will continue to surface over time. – The moment you want to capture. – Whether the content you are capturing lends itself to other formats, like cinemagraphs. If you’re in need of some guidance on the types of videos you can make, and/or assistance with video production, then we can certainly help you. A great list of some video techniques and formats. I use a few of these already, particularly animated explainer videos. Boomerangs are great for certain things, like anything that looks humorous over a few seconds. Brilliant for capturing short events at a party, they say much more than a short video or a few pictures. Thanks for this, I really enjoyed the post.